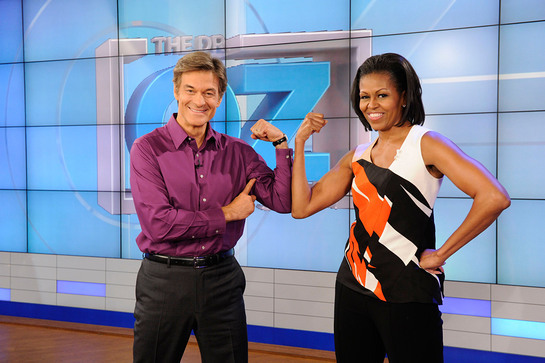 Michelle Obama, whose advocacy for fitness and nutrition have been a cornerstone of her work as First Lady, will appear on the nationally syndicated The Dr. Oz Show on the third anniversary of her monumental “Let’s Move!” campaign. 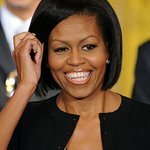 Michelle Obama will appear on The Dr. Oz Show February 28. Joined by Secretary of Education Arne Duncan, the First Lady will discuss how physical activity affects children’s health and academic achievement. The episode will air Thursday, February 28, to coincide with a major announcement about bringing physical activity back to schools, to be made by Mrs. Obama and Secretary Duncan. The two-time Emmy Award-winning nationally syndicated The Dr. Oz Show first hosted Michelle Obama as a guest in September 2012.